If you’re shelling out hard-earned cash on a laptop, then you want to make sure you get years of service out of it. Some wear and tear (both physical and digital) is inevitable along the way, but if you take good care of your machine you can keep it running smoothly for longer—just like a well-maintained car or bicycle. Many of the laptops sold today come with solid-state drives installed, which reduces the chance of a hard drive failure being the cause of death as far as your laptop is concerned. That said, there are some good practices to follow, and a host of tools you can use to spot any potential problems early on. Temperature is important—make sure to keep your laptop cool, though not too cool (room temperature is about right). Apps like DriveDx (Mac) and CrystalDiskInfo (Windows) can keep an eye on your hard drive’s health (including current running temperatures) and alert you to any potential problems before they get serious. Keep unnecessary files and clutter on the drive down to a minimum if you possibly can, because the more elbow room the OS has to work in, the less strain your disk is put under: get rid of applications you aren’t using and files you no longer need, maximizing the amount of free space available (CCleaner is an excellent help here). Essentially, anything you can do to cut down the work the drive has to do can help extend its lifespan, whether it’s an older mechanical drive or a newer SSD model—for operations where a lot of reading and writing is involved (such as video editing jobs), having a second drive dedicated to the task can help. Every laptop battery inevitably ends up degrading over time, but there are ways to keep it as healthy as possible for as long as possible. As we mentioned with the hard drives, making sure the battery stays at a normal temperature is a good start and will prevent it deteriorating faster than normal. If your laptop’s battery gets too hot or too cold, then it can start to suffer, so avoid leaving it out in the sun or stuck in a snowdrift. When you’re storing your device and not using it for a while, leave it charged somewhere in the middle rather than running it down completely or fully charging it before storing it. Every time you charge and discharge your battery you put a small amount of strain on it, so do this as little as possible—it’s also recommended to not leave your laptop plugged in and charging at 100 percent for too long, although the batteries of today have more built-in safeguards to avoid damage. Some experts say keeping your battery between 40-80 percent charged while you use it can prolong its life. Free software like Battery Monitor (Mac) and BATExpert (Windows) can help you here and give you a full rundown of the battery’s current state of health, so you always know just how well you’re doing at managing it. It goes without saying that a malware-free laptop is healthier than one riddled with viruses, so find suitable software protection for your laptop of choice and make use of it. Keeping the OS right up to date is your first priority, to ensure security holes are plugged, and the latest optimizations are applied. You should always be running the most recent version of your chosen web browser too, as this is where most threats are likely to come, and again there’s the double benefit of having code that’s both as efficient and secure as possible. Fortunately, most browsers now handle this update process automatically. Windows 10 comes with integrated security software of its own, and Mac OS X also offers built-in protection, but if you feel extra precautions are necessary then AVG, BitDefender, Avira and Kaspersky are some of the companies offering excellent third-party products for both the Microsoft and Apple platforms. On top of that, use common sense when it comes to being wary of downloads and suspicious-looking email links. Again, keeping the number of unnecessary applications and browser extensions down to a minimum improves security, as it limits how many potential points of attack you’re vulnerable to. You might not think that external dust and grime affects the inner workings of your laptop too much, but small bits of dirt and liquid can get between cracks and crevices and cause hardware problems down the line. The screen is another component you should keep clean to ensure as long a life as possible. 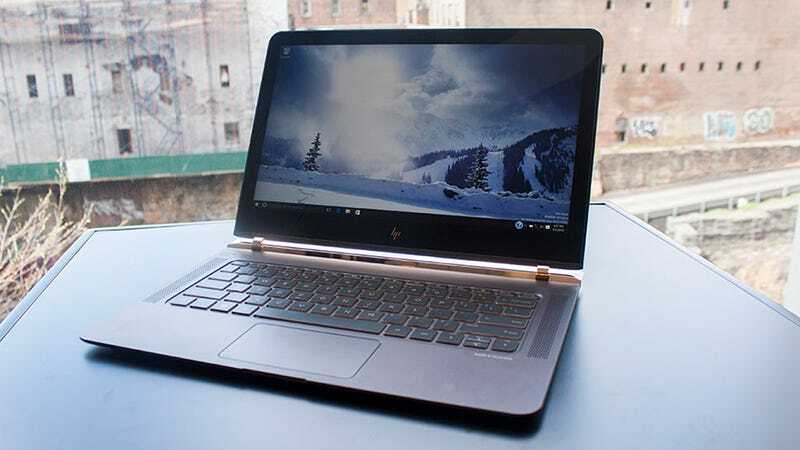 The very latest and slimmest laptops are fan-free, but irrespective of how many fans your computer has, anything that blocks air circulation can cause problems for your device. You should make sure there’s plenty of room around your laptop while you’re using it. A lint-free cloth, isopropyl alcohol and distilled water are usually the tools recommended for the job (avoid tap water and standard household cleaning products), and a can of compressed air can come in very handy too for clearing blockages and blasting detritus away from the keyboard and your laptop’s ports. The more ambitious among you might want to open up the laptop casing for an even deeper clean, but proceed at your own risk and make sure you know what you’re doing—there are plenty of thorough cleaning guides around on the web that you can follow.